Pemetero 100 mg Injection interferes with the growth of DNA and RNA of the cancer cells by substituting their building blocks. It prevents the cancer cells from growing and multiplying. 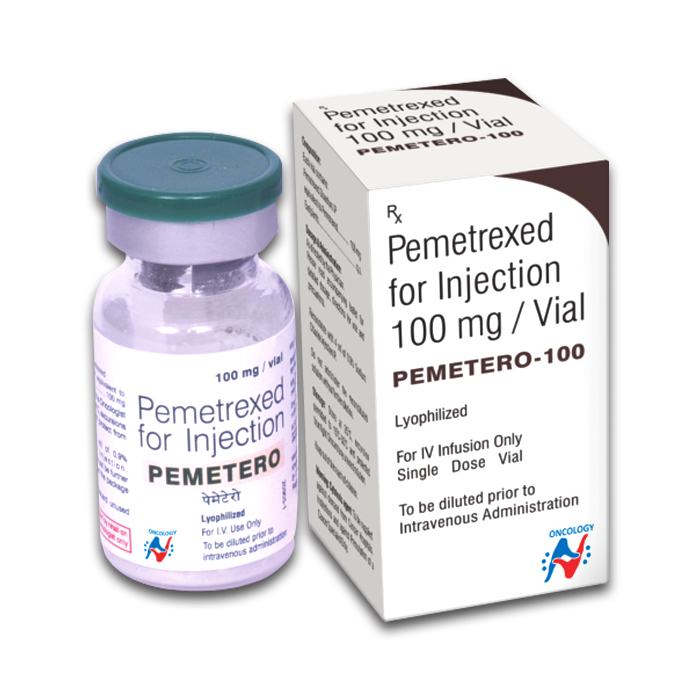 Pemetero 100 mg Injection is used in the treatment of non-small cell lung cancer and malignant pleural mesothelioma.